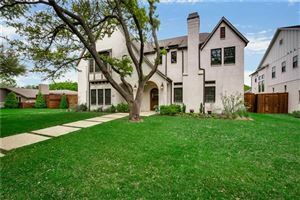 Lakewood is one of Dallas's older communities, offering old growth trees and older homes with the kind of character you just don't find any more. It's a great quiet neighborhood surrounded by natural beauty. Easy access to all that Dallas has to offer including golf at the Lakewood Country Club, hiking and biking at White Rock Lake, and some of Dallas's best restaurants. There's even a lovely little jazz club offering live music seven days a week. Lakewood is also home to The Lakehill Preparatory School, a premiere private academy. and the blue ribbon rated Lakewood Elementary.